The big rumor today is that Cap may be picking up the hammer in Captain America 3: Civil War! If this is true only he, Thor and the Vision will have done so in the Marvel cinematic universe. In the comics things are a bit different. Many have been deemed worthy over the years. When a guy like Wonder Man has picked up the hammer it cheapens the importance of the thing and takes away from the awe involved in such an act. On film I have a feeling it could be Cap’s greatest on screen achievement. 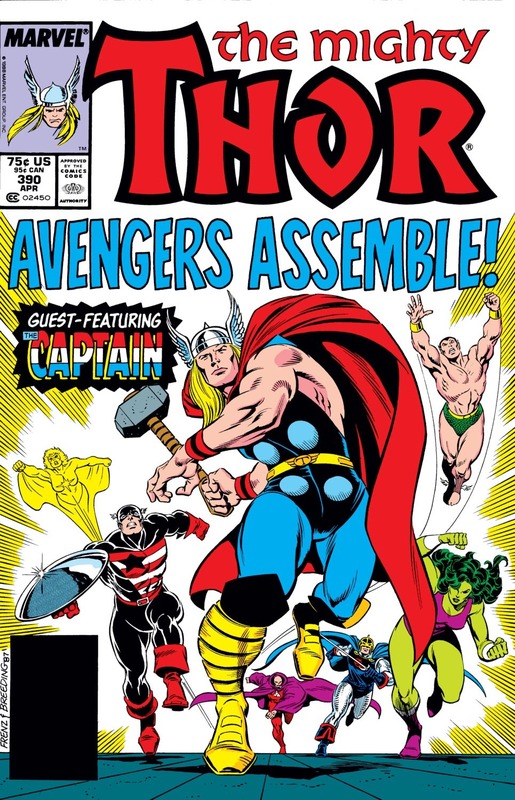 Steve first picked up the hammer in Thor 390. And here is the moment immortalized in this splash page!